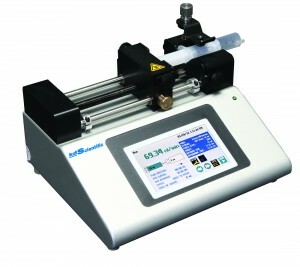 The KDS Pico pump has infusion and withdrawal capabilities with accurate deliveries of picoliter, nanoliter, microliter and milliliter flow. It is especially designed to hold microliter syringes ranging from 0.5 µl to 10 ml. 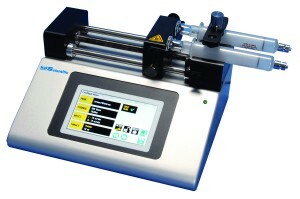 The Pico pump will operate continuously in “rate” mode or accurately dispense a specific amount of fluid in “volume” mode. The microstepping pump delivers very smooth and constant flow over the entire flow range. The Pico pump feature non-volatile memory. The pump remembers its last syringe size, flow rate and configuration settings.